‘Upset stomach last night. Dreamed I was a robot, being rebuilt. In a great burst of energy managed to redo two chapters. Took them to Stanley, who was very pleased and cooked me a fine steak.’ This delightful snippet is from a diary Arthur C. Clarke kept while working with Stanley Kubrick on the legendary film 2001: A Space Odyssey. But, this diary (written with publication in mind) is the only diary Clarke ever published. He did keep a diary as a young man - many volumes worth, or so he revealed in a 1999 interview - but planned to keep them sealed from public view for thirty years after his death. Today marks the 100th anniversary of his birth. Clarke was born on 16 December 1917 in Minehead, England, and grew up on a farm in nearby Bishops Lydeard. He was schooled at Huish Grammar School in Taunton. In his teens, he joined the Junior Astronomical Association, and he contributed articles to the society’s journal. Not yet twenty years old, he moved to London where he worked as a pensions auditor at the Board of Education. During the Second World War, from 1941 to 1946, he served in the Royal Air Force as a radar specialist. He was commissioned as a pilot officer (technical branch) in 1943. Soon after, he was promoted to flying officer, eventually being appointed chief training instructor at RAF Honiley in Warwickshire, and later he was demobilised with the rank of flight lieutenant. After the war, Clarke studied for a maths degree at King’s College London, and then worked as an assistant on the journal Physics Abstracts. In 1950, he published Interplanetary Flight, a work of non-fiction in which he discussed the possibilities of space travel. By this time, he was also writing science fiction stories - his first novella, Against the Fall of Night, appeared in 1948 - and from 1951 he took up writing as a full time occupation. It was well known among his friends that Clarke was gay, hence he never married. In 1953, he moved to Sri Lanka, where he embarked on a second career combining skin diving and photography, and he remained domiciled there for the rest of his life. He continued writing novels, such as The Deep Range and The City and the Stars, and was often consulted by scientists on issues connected with spacecraft and satellites. In 1964, Clarke began working with the film director Stanley Kubrick on a screenplay adaption of his 1951 short story The Sentinel, a project that would become the classic 2001: A Space Odyssey, widely considered one of greatest movies ever made. Clarke and Kubrick published a novel of the film and, subsequently, Clarke also wrote several sequels. Clarke’s fame only increased when chosen by American broadcaster Walter Cronkite as a commentator for CBS’s coverage of the Apollo 11 lunar landing in 1969. 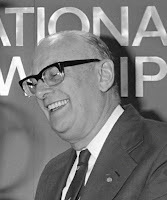 After completing more novels, several winning international accolades, he hosted television series such Arthur C. Clarke’s Mysterious World (1981). By the end of the 1980s, complications from having had polio in 1962 led to him being increasingly confined to a wheelchair. 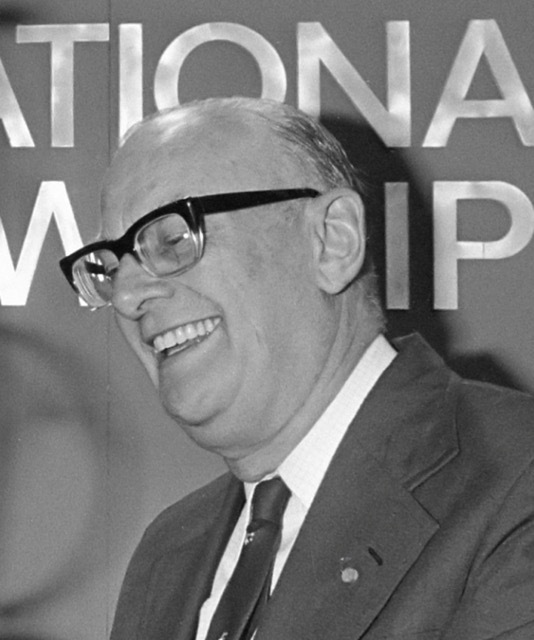 In 1983, the Arthur C. Clarke Foundation was established to promote the use of technology to improve quality of life, particularly in developing countries, through educational grants and awards; and the Arthur C. Clarke Award for excellence in British science fiction was established three years later. Clarke held chancellorships at the University of Moratuwa in Sri Lanka from 1979 to 2002 and the International Space University from 1989 to 2004; and he was knighted in 2000 by the British High Commissioner in Sri Lanka. He died in 2008. Further biographical information can be found at Wikipedia, the Arthur C. Clarke Foundation, Biography.com or Encyclopaedia Britannica. In a Guardian interview with Tim Adams, published in 1999, Clarke revealed that, when he was younger, he had written ‘volumes and volumes’ of journals. At the time of the interview, these were held in an archive managed by his brother Fred Clarke in Taunton, England, (which he called the Clarkives). However, Fred died in 2013 without realising his dream of creating an Arthur C. Clarke Centre (see this bulletin of the Astronomical Society of Haringey). A. C. Clarke also told Adams that the journals would be sealed for 30 years from the time of his death. ‘Why on earth are they sealed up?’ Adams asked. ‘Well,’ Clarke answered, ‘there might be all sorts of embarrassing things in them’. Adams enquired further: ‘What kind of things?’, but Clarke didn’t answer. Nevertheless, Clarke did publish one of his diaries (or what he called a ‘log’), from the period while he was working on 2001: A Space Odyssey. It first appeared in Clarke’s 1972 book The Lost Worlds of 2001, which also contains a collection of other written texts (behind-the-scenes notes, screenplay drafts etc.). Many secondhand copies are available cheaply online, through Abebooks for example, but there seem to have been no commercial reprints since 1980 or so. 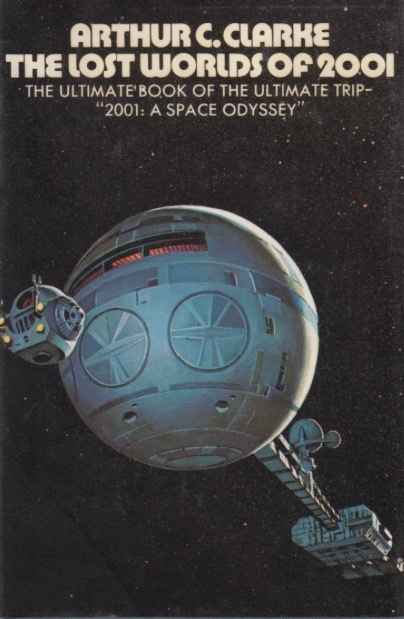 However, parts of Clarke’s diary were republished in The Making of 2001: A Space Odyssey edited by Stephanie Schwam. (Modern Library, 2000). Some of the diary can be viewed at Visual Memory, but at the time of writing, the whole of The Lost Worlds of 2001 can be read online at the Avalon Library. ‘The announced title of the project, when Stanley gave his intentions to the press, was Journey Beyond the Stars. I never liked this, because there had been far too many science-fictional journeys and voyages. (Indeed, the innerspace epic Fantastic Voyage, featuring Raquel Welch and a supporting cast of ten thousand blood corpuscles, was also going into production about this time.) Other titles which we ran up and failed to salute were Universe, Tunnel to the Stars, and Planetfall. It was not until eleven months after we started-April 1965-that Stanley selected 2001: A Space Odyssey. As far as I can recall, it was entirely his idea. May 28, 1964. Suggested to Stanley that “they” might be machines who regard organic life as a hideous disease. Stanley thinks this is cute and feels we’ve got something. May 31. One hilarious idea we won’t use. Seventeen aliens-featureless black pyramids-riding in open cars down Fifth Avenue, surrounded by Irish cops. June 20. Finished the opening chapter, “View from the Year 2000,” and started on the robot sequence. July 9. Spent much of afternoon teaching Stanley how to use the slide rule - he’s fascinated. July 11. Joined Stanley to discuss plot development, but spent almost all the time arguing about Cantor’s Theory of Transfinite Groups. Stanley tries to refute the “part equals the whole” paradox by arguing that a perfect square is not necessarily identical with the integer of the same value. I decide that he is a latent mathematical genius. July 12. Now have everything - except the plot. August 17. We’ve also got the name of our hero at last - Alex Bowman. Hurrah! August 19. Writing all day. Two thousand words exploring Jupiter’s satellites. Dull work. September 7. Stanley quite happy: “We’re in fantastic shape.” He has made up a 100-item questionnaire about our astronauts, e.g. do they sleep in their pajamas, what do they eat for breakfast, etc. September 26. Stanley gave me Joseph Campbell’s analysis of the myth The Hero with a Thousand Faces to study. Very stimulating. September 29. Dreamed that shooting had started. Lots of actors standing around, but I still didn’t know the story line. October 2. Finished reading Robert Ardrey’s African Genesis. Came across a striking paragraph which might even provide a title for the movie: “Why did not the human line become extinct in the depths of the Pliocene? . . . we know that but for a gift from the stars, but for the accidental collision of ray and gene, intelligence would have perished on some forgotten African field.” True, Ardrey is talking about cosmic-ray mutations, but the phrase “A gift from the stars” is strikingly applicable to our present plot line. October 8. Thinking of plot all morning, but after a long walk in the sun we ended up on the East River watching the boats. We dumped all our far-fetched ideas - now we’re settling for a Galactic Peace Corps and no blood and thunder. October 17. Stanley has invented the wild idea of slightly fag robots who create a Victorian environment to put our heroes at their ease. November 20. Went to Natural History Museum to see Dr. Harry Shapiro, head of Anthropology, who took a poor view of Ardrey. Then had a session with Stan, arguing about early man’s vegetarian versus carnivorous tendencies. Stan wants our visitors to turn Man into a carnivore; I argued that he always was. Back at the Chelsea, phoned Ike Asimov to discuss the biochemistry of turning vegetarians into carnivores. November 21. Read Leakey’s Adam’s Ancestors. Getting rather desperate now, but after six hours’ discussion Stan had a rather amusing idea. Our E. T.’s arrive on Earth and teach commando tactics to our pacifistic ancestors so that they can survive and flourish. We had an entertaining time knocking this one around, but I don’t think it’s viable. November 22. Called Stan and said I didn’t think any of our flashback ideas were any good. He slowly talked me out of this mood, and I was feeling more cheerful when I suddenly said: “What if our E. T.’s are stranded on Earth and need the ape-men to help them?” This idea (probably not original, but what the hell) opened up whole new areas of plot which we are both exploring. December 10. Stanley calls after screening H. G. Wells’ Things to Come, and says he’ll never see another movie I recommend.